Incredibly excited to feature work from our inter-departmental team spanning AI, ultrasound and physiology that develops novel prosthetics leveraging ultrasound and machine learning. We were just featured last month (December 2017) by NVidia, IEEE, CNN and many other news sources. 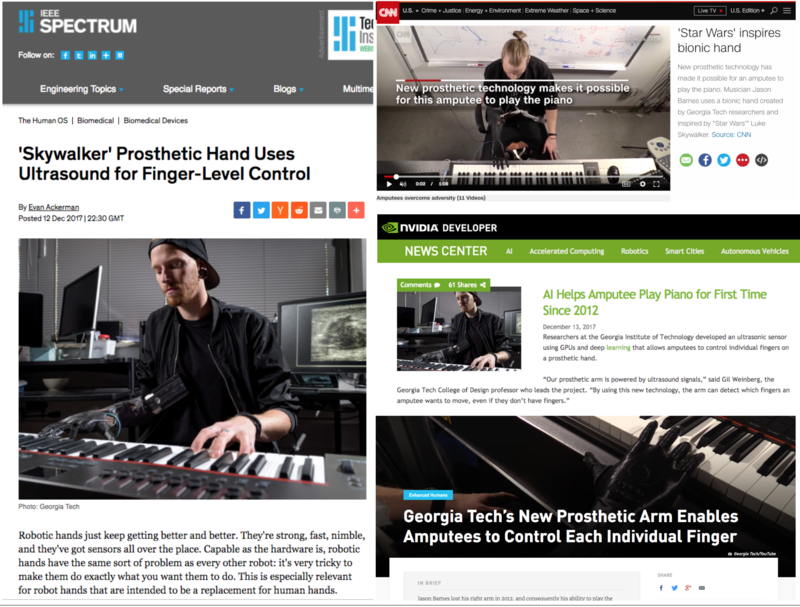 Our system delivers first-in-class finger-by-finger control by amputees, enabling high-dexterity tasks like playing piano; an impossible feat using today’s sensing on conventional prosthetics. By using ultrasound over traditional sensors like electromyography (EMG), we are able to “see” deeper muscle activities in the arm.